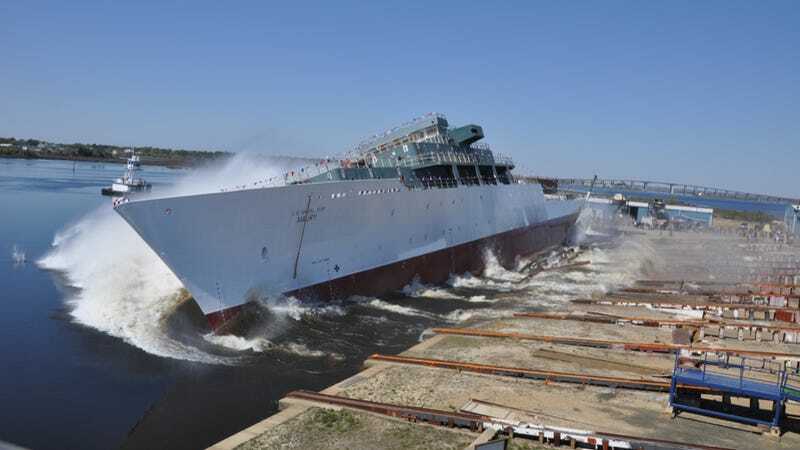 The new presidential administration has a goal to start a shipbuilding boon that would increase the number of Navy ships from 272 to 350, but while all of that sounds just dandy on paper, the human toll of naval shipbuilding is immense, according to a new report. In an explosive investigation by The Center for Investigative Reporting (via Politico), reporters found that the U.S. Navy and Coast Guard awarded contracts worth more than $100 billion to seven American shipbuilding companies that since 2008 have been repeatedly cited or fined for safety violations that result in their workers ending up dead or seriously injured. Ates felt the urge to vomit. A chemical stench filled the engine room of the tugboat in a sprawling Mississippi shipyard. Ates scrambled over to an oval hole in the floor and peered into the dark abyss. Below him, two men were crawling through cramped steel boxes laid out like coffins. They had been told to wipe the inside of the hull with paint thinner. “Look, y’all need to get out of that tank,” Ates screamed. He heard hissing. A tangerine fireball erupted through the hole and catapulted him across the boat.The deafening boom reverberated through the rooms of a Super 8 motel more than 2 miles away. What is so concerning about this incident is that had VT Halter waited just five more months for the Occupational Safety and Health Administration (OSHA) to finish its investigation, the company would have found out that they were sending Ates to his death. Fortunately, he is alive. Unfortunately, he is scarred for life. OSHA has the power to fine companies that are negligent in upholding safety, but another branch of government can award them contracts worth millions of dollars at the same time. We all love to discuss the nuances of how ships are built and what they can do, but we rarely discuss the dangers involved in putting one together. Seventy-six people have died in the private shipbuilding and repair industry between 2005 and 2015, according to the report. And shipbuilders face an 80 percent higher chance of injury and illness than construction workers. Most American workers face the same limitations. In the 1920s, shipyard workers joined many others in accepting a tradeoff under federal law: In exchange for severely limiting their ability to sue their employers for work accidents, they could collect prompt, if limited, payments for injuries. In a quirk of law, though, as soon as that ship heads to sea, workers aboard enjoy expansive protections. They can sue their employer if they so much as slip and fall on a wet deck. So, unless the OSHA looks out for workers, they are screwed. When the Navy was confronted with the injuries and death figures, officials brushed it off saying it wasn’t their problem. 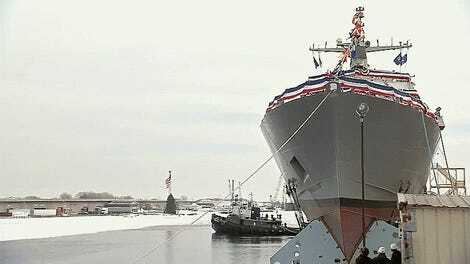 “We are not the overlords of private shipyards when it comes to workplace safety,” said Dale Eng, a spokesman for the Navy’s Naval Sea Systems Command, which oversees ship construction, told the CIR. No one branch of the Navy is charged with ensuring shipyard safety. The Navy, via Naval Sea Systems Command (NAVSEA), primarily makes sure private shipyards complete contracts on time and under budget. NAVSEA has 1,500 staffers at and near private shipyards across the United States. They cannot enforce federal workplace safety laws, per their their operating manuals. But, at the end of the day, none of these efforts matter because federal regulations only require that companies do the job and say nothing to ensure that they enforce safety measures that protect their workers. Former President Barack Obama tried to deal with this issue by requiring companies that secure federal contracts $500,000 or more are forced to disclose safety violations from the past three years. That effort was blocked by a federal judge in Texas, and Congress voted to prevent future presidents from creating similar rules. Meanwhile, workers are left to build ships at their own risk without a government that cares about their welfare. This is the human cost of building American ships that keep America safe, but too often end up with the workers who build them sick, injured or dead.